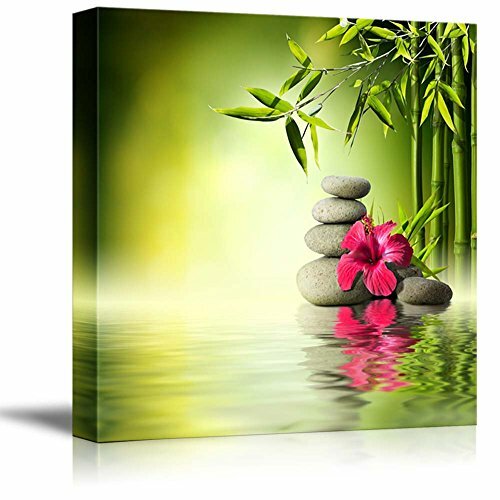 Canvas Prints Wall Art - Zen Stones Red Hibiscus and Bamboo on The Water Spa Concept | Modern Wall Decor/Home Decoration Stretched Gallery Canvas Wrap Giclee Print & Ready to Hang - 24" x 24"
I have many of them in my spa. My clients love my spa pics. Very pretty, fits in my Zen room. Very pretty heavy canvas. Please be aware that the picture you see on your computer screen does not accurately portray the colors. The green is much, much greener and the black is very, very black. The elements of the picture are extremely large in person. Very happy with this purchase. The colors are vibrant and at a decent price.